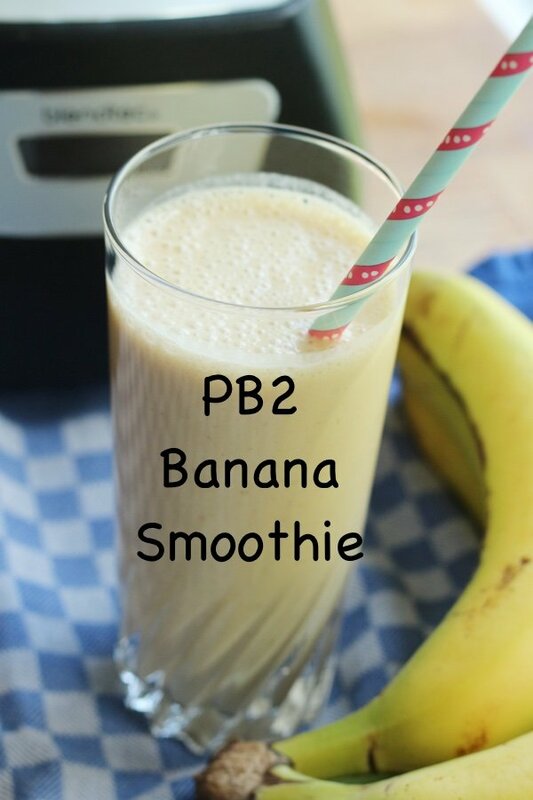 A PB2 banana smoothie will trick you into thinking you are drinking something far more luxurious. PB2 is a product that came out of a problem. What do you do with all that is left of the peanut after you wring out the oil to make peanut oil? I suppose you figure out if there is a market for peanut flavored protein powder. 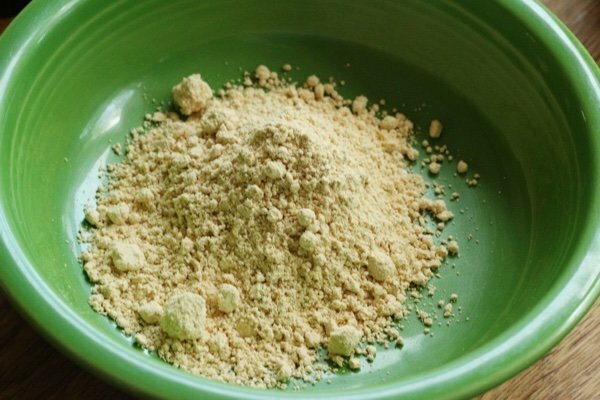 It is brown, fluffy powder and it is simply a by product of the oil making process. Almond milk was created in much the same way. The crumbs of almonds didn’t really have a market until someone figured out how to turn them into almond milk. I like PB2 and its cousins because it adds protein and flavor without a lot of calories. I use it in my chocolate PB2 smoothie and a peanut butter and jelly PB2 smoothie. Two tablespoons of the stuff is 50 calories versus 188 calories for full fledged peanut butter. If you love peanut butter as much as I do, the calories can add up. If you want to make peanut butter from PB2 – you simply add water. I don’t love it as much as actual peanut butter but it will do in a pinch (or if you are back country camping and real peanut butter is heavy). There are now multiple brands of PB2 (PB2 is a brand name). This organic PBfit is a good one. You can find it EVERYWHERE. It is even in huge tubs at Costco next to the peanut butter – I just saw it there. Make sure there is no sugar added in your product. Isn’t the point of this to cut calories? Added sugar is unnecessary to ensure that this tastes good. It is basically peanut paste. I do have a high speed blender – a Blendtec. I bought it a few years ago as my Christmas present and I use it almost every day. Smoothies and soups are my game. Vitamix is another famous brand for these things. You can’t really go wrong. 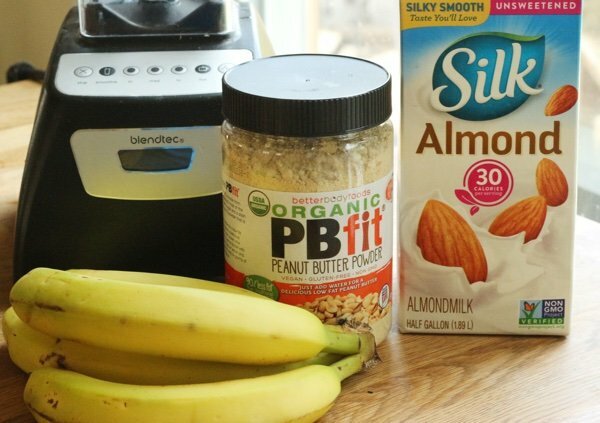 Pour almond milk into blender and add banana and PB2. Blend and serve. Even better with frozen banana! Looks good- but why is this 7 points and the chocolate version 2? The chocolate version is the pts for only the powder not for a smoothie. I do this! It's delicious. I add protein powder for more staying power and make sure the banana is frozen. No way is this 7 Freestyle Points! I'm thinking 2 -- 1 for the PB2 and 1 for the almond milk. Unless the banana gains points when you blend it. My go-to almost every morning: 1 Chocolate Premier Protein drink, a frozen banana, 2 tbsp PB2, 1/4 scoop Vanilla Milkshake Quest Protein powder (which you could probably do without). Mix in my NutriBullet. Delicious! Please explain how this adds up to 7 Freestyle points....I would count it as 2. How many people count the points in fruit when making a smoothie? I've heard two different reasons WW says we are supposed to count the points. First, I was told to count because smoothies are something we can overdo by drinking too many. Then I was told it's because the fruit is pre-digested when blended. I've heard one leader say, "don't count the fruit and watch the scale - if you don't lose or gain, then count the fruit." Seems like good and logical advise. Obviously, I am confused on how to count the banana for Weight Watchers. The banana adds significant sugar and so the points go sky high. I thought you were supposed to count it if you blend it. I like what Cheryll said though because this drink is really healthy and I wouldn't avoid it. Putting the banana in the blender changes the freestyle points from 0 to 5. The research on which this is based can be found on the WW website. well, I just love bananas & must eat them according to my doctor PC because my potassium is always too low. I am not a smoothie drinker. any ideas on snacks w/bananas? This is a great recipe. When making smoothies, I add all kinds of vitamins and yeast flakes for B vit. and essential amino acids. I mostly add berries because they are lowest in sugar. I like PB2 for protein too but use it in my overnight oats. For my smoothie I use Bobs Re Mill Pea Protein. My recipe is 1 cup water, 1 tble Pea Protein, 2 cups raw spinach, 1cup fresh blueberries & cup of frozen fruit (mango or such). My VitaMix does a fantastic job. I really like this flavor! great! Hi I am doing WW and I am on your email and recipes. I am questioning your recipe for PB2 banana smoothie. I calculate it as 2 points why are you saying it is 7 Freestyle smart points. I would like to know. When you blend fruit the points become higher because of the act of not chewing for some reason. You can read online. So the smoothie does become 7 points. 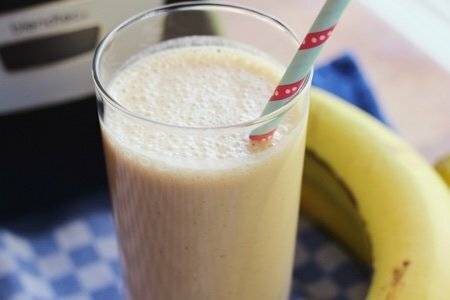 A banana blended is 5 points. I found that out the hard way when I was having smoothies three times a week for breakfast thinking I was only having 2-3 points but was really having 7-10!! !